This wonderful lamp was made on the island of Murano probably in the 1950s - 60s. The lamp sits on a integral glass foot that looks like a series of rolling waves. 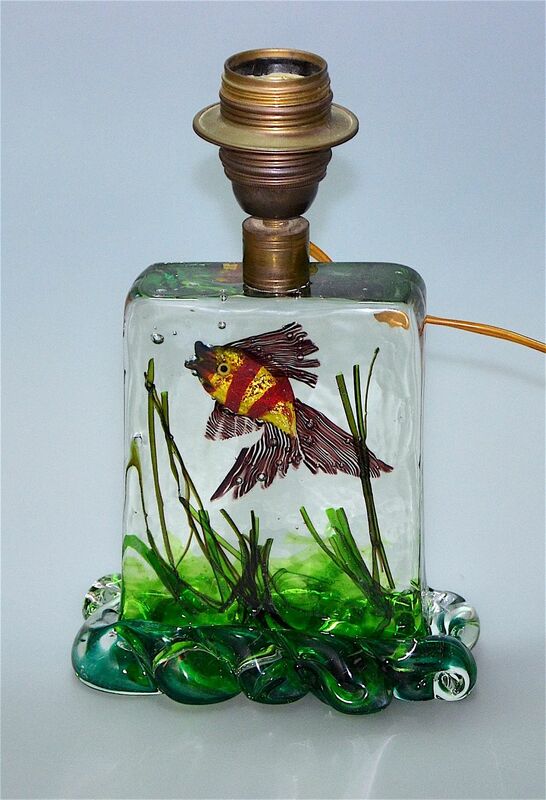 This supports a rectangular clear glass base that is internally decorated with a bubble blowing red and yellow striped fish swimming among green seaweed and above a swirling green ocean floor.